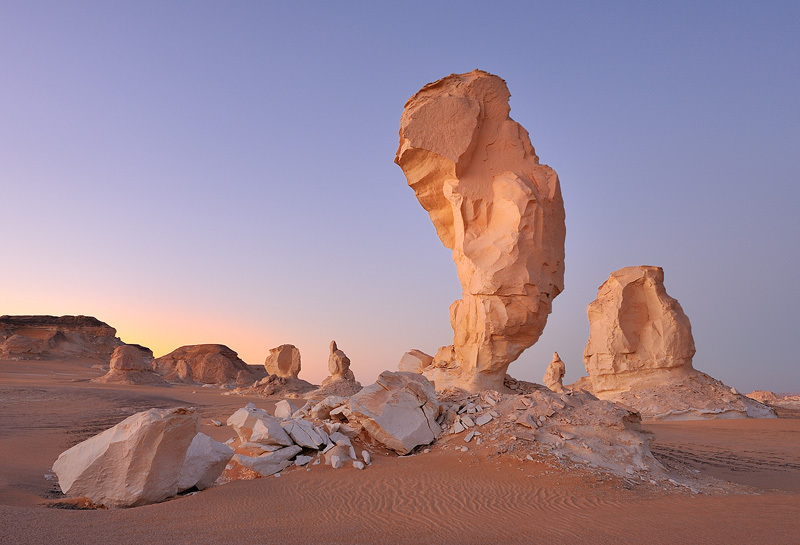 This shot features one of the many fascinating natural rock sculptures in the Western Desert of Egypt. I had spotted it after climbing a high plateau and decided to set up camp close by. The shot was taken just before sunrise. Nice thing about many of the monoliths here is that they're made of very bright, cream colored rock that changes color dramatically around sunrise and sunset. Erosion goes fast here, so the landscape will look completely different in just a couple of decades.